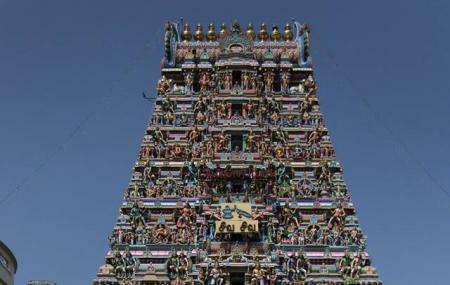 Located in Chennai’s neighborhodd of Saidapet, the Kaaraneeswarar Temple is dedicated to the Indian Lord Shiva. The ancientness of this temple is its major draw. The temple has lots of delightful tales attached to, which are very engaging to hear while on a guided tour here. The most popular one is that of Lord Indra being worried about his divine cow “Kamadhenu” who was cursed into an ordinary cow after interrupting the Pooja and Prayer of Sage Vashishta. On Pradhosham days, this temple is a sight to watch, drawing several visitors. How popular is Kaaraneeswarar Temple? People normally also visit St. Thomas Mount National Shrine while planning their trip to Kaaraneeswarar Temple. One such temple with absolute divinity and lots of good vibes. A good place for both children and adults to visit often. Temple of Lord Shiva. Located very close to the Saidapet railway station. Good and peaceful pilgrimage. Philosophical and ancient Hindu history are often explained in evening by orator. So Divine . Neat and clean . Quintessential Siva Temple . It has also Hanuman statue.